Tamoxifen Vs Arimidex: Which Drug is a Better Choice? Tamoxifen is one of the most popular drugs used for treating and preventing breast cancer, especially for women who are at high-risk of developing the disease. What Tamoxifen does is it blocks the growth of breast cancer by interfering with the effects of estrogen in the tissues in the breast. Since the breast has estrogen receptors where cancer gets the estrogen from, Tamoxifen works by binding itself to the receptors, replacing the estrogen. The drug blocks the estrogen from being fed to the cancer cells and as Tamoxifen takes estrogen’s place, it effectively slows the reproduction and growth of cancer. Tamoxifen is also known scientifically as selective estrogen receptor modulator or SERM. Tamoxifen is also a drug that can be used as a substitute for chemotherapy because unlike this treatment, tamoxifen has lesser negative side effects. This drug does not interfere with the production of estrogen in the body as it only stops and replaces the hormone from being integrated by the cancer cells. 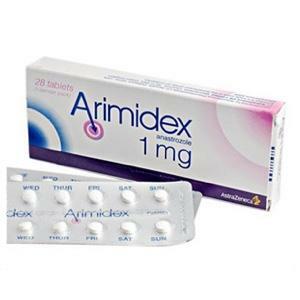 On the other hand, Arimidex is another brand of hormonal treatment drug used for breast cancer. Its generic name is Anastrozole, a drug that lowers the estrogen levels in postmenopausal women, slowing the growth of cancer cells and certain types of tumors that feed on estrogen. Unlike Tamoxifen that only blocks estrogen from being assimilated by the cancer cells, this drug decreases the estrogen production in the body. Arimidex is also known as a selective non-steroidal aromatase inhibitor that considerably lowers the concentrations of estrogen without disrupting the production of aldosterone, a substance in the body that controls the blood pressure and balances the electrolytes in the blood. The estrogen production in postmenopausal women no longer comes from the ovaries but is already produced by muscle, breast, liver and fat cells. Aromatase inhibitors like Arimidex work by blocking the aromatase enzyme, lessening the estrogen production in these organs. Tamoxifen was discovered back in 1966, an accidental find when the scientists of Imperial Chemicals Industries Pharmaceuticals which is now known as AstraZeneca, was working on a contraceptive medication. 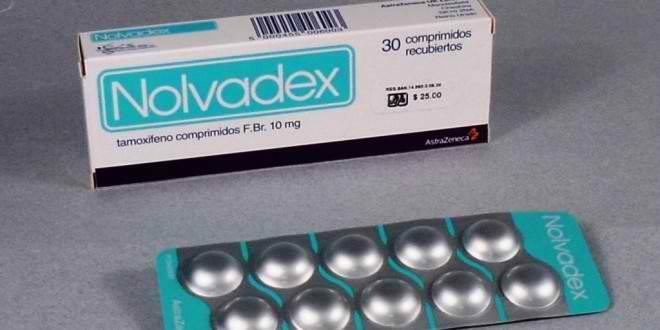 This drug was manufactured under the brand name Nolvadex but AstraZeneca has stopped its production back in 2006 and started producing Anastrozole instead, which is now known as the brand name Arimidex. 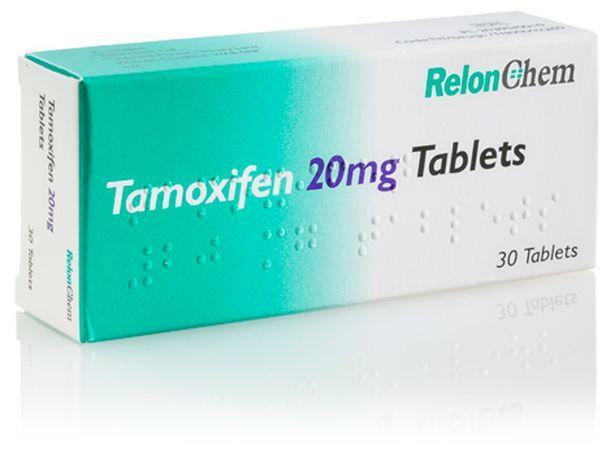 The reason for this may be the action of Tamoxifen has side effects that are almost as bad as the condition that it was trying to treat like liver problems, vaginal bleeding, vision problems and an increased risk of having a stroke. Other side effects of blood clots in the lungs and legs, new breast lumps, bone pain, vomiting, severe headaches and muscle weakness can come with the use of the drug. Side effects of Arimidex are also of the similar nature but not as serious as the side effects that Tamoxifen has. Patients using Tamoxifen also have higher risks of developing other forms of cancer but for Arimidex, there have been no such cases. Many patients have actually consulted their physicians regarding switching over from their Tamoxifen to Arimidex since the drug was more effective in significantly reducing the risk of early-stage and HR+ (hormone receptor-positive) breast cancer in women past their menopausal stage. Tamoxifen was effective in blocking the estrogen hormones from reaching the estrogen receptors but as long as the body continues to produce estrogen, there will always be the risk of cancer recurrence. By inhibiting the estrogen production in the body, Arimidex effectively reduces the risk of cancer recurrence as it deprives the cancer cells which grow from the hormone. By preventing its growth, Arimidex also stops the spread of cancer to other parts of the body. Is Arimidex the Same as Tamoxifen? As drugs that are used for treating and preventing cancer, yes. Some of the side effects that Tamoxifen have are also similar to Arimidex but their similarities end there. Tamoxifen is different in its mechanism of action since it only prevents the estrogen from reaching the hormone receptor-positive cancer cells in the woman’s breasts. Arimidex works differently since it functions by stopping the estrogen at its source. Since estrogen no longer comes from the ovaries in post-menopausal women, Arimidex inhibits the production of aromatase in the other parts of the body like fats and muscles and liver. This enzyme is responsible for converting the hormones made by the adrenal glands called androgens into estrogen. Once aromatase is stopped from making estrogen hormones from androgens, the cancer cells will stop growing and spreading since its hormone receptors no longer receive anything. Tamoxifen is known to have very little benefits to women with premenopausal breast cancer that’s why it was replaced with Anastrozole (Arimidex). Tamoxifen may successfully treat breast cancer but may also develop uterine cancer in the process, something that does not happen to patients using Arimidex. These cases are more frequent in women younger than 60 (premenopausal). Though Tamoxifen treatment is working for most women, most of the cancer recurrences happen after the 5-year treatment, making women switch over to Arimidex. Comparing both of these effective drugs for cancer treatment, it appears that Arimidex has the upper hand since it is a drug that stops the problem at the roots, preventing the production of estrogen, a hormone that feeds the growth of cancer cells in the breast. Tamoxifen is also effective as it blocks the assimilation of estrogen in the hormone receptors but it still increases the risks of cancer recurrence in the long run. It also puts the patient at risk of developing new cancers, making Arimidex a better choice. In purchasing this drug online, customers should check our list of Top Recommended Pharmacies.